Air India has officially revealed on the GDS that it will be increasing capacity to YYZ-Toronto from the on set of the IATA Winter 09-10 season and also re-routing this flight from India. Effective Oct 26th, flights will be flown 3 times per week from Delhi via London Heathrow to Toronto where as the remaining 4 weekly flights will be flown from Amritsar. AI has full 5th freedom rights on the LHR-YYZ-LHR and will be using their new Boeing 777-300ERs daily this route. This new aircraft has their latest first, business and economy class product which is expected to be a huge hit with its passengers as it has been already out of FRA, EWR, LHR and ORD. If you recall reading my July 29th dated Airline newsletter, I had suggested that AI's operations to YYZ should be split between ATQ and DEL and it seems that it has been followed :) Many people are now wondering what is so great about this new move by AI? This I shall explain in detail soon in a dedicated email which will explain the impact of their pricing strategy (already in the GDS), the pros and cons of their flight schedules and in-flight cabin product as well as the potential it has to make solid money on the YYZ-LHR-YYZ route in particular. CMB - new flights to be launched with an A 332 and Star Alliance carriers are such as LH/LX/UA are expected to code share on it. YYZ - subject to govt approval, it will be increased to daily nonstop flights by 2011. LAX & IAD - will be inaugurated in 2010-11. IAD will be flown with an A 332 where as LAX will be served with a B 77W. Both routes will see UA code sharing with TK. GRU - currently flights flown to the city via DKR will be suspended and GRU-IST instead will be served nonstop using a B 77W. KIN - new city in Congo, Africa will be served most likely via DKR using an A 332. India - guaranteed to see one more online city by Winter 2010 which is likely to be BLR. CAN - new nonstop flights using an A 332 will be launched in 2011. PEK & PVG - both cities will see frequencies increased by 2011 to daily nonstop terminator flights from the current 5 weekly. SGN - new flights to be launched most likely via BKK by 2011. DAR - new flights will be launched either nonstop with a B 738 or with an A 332 via NBO. B 77W fleet - removal of first class cabin to make way for an enhanced premium economy class cabin. TK has a better chance of making more money flying IST-ISB-IST with an A 332 four times per week versus launching new routes to DAR/SGN/CMB put together! One hopes that the IAD flight schedule is similar to ORD and YYZ to allow better connectivity via IST in both directions to key Middle Eastern and SE Asian destinations which is not available out of JFK! KLM has revealed that it will be increasing capacity to NRT-Tokyo this winter season to accommodate additional demand forecasted by their analysts. Currently, flights were scheduled to be flown on a daily basis using a Boeing 747-400 Combi but that will see a capacity increase to 2 weekly B 744s + 5 weekly B 744 Combis. 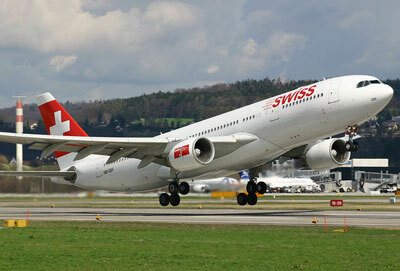 SWISS has officially revealed for the IATA Winter 09-10 season, it will be increasing its presence on its popular Zurich-Bangkok route by adding an additional weekly nonstop flight thus increasing the overall frequency from 6 weekly to daily. All flights will be flown using an Airbus A 340-300. Sri Lankan Airlines has officially confirmed on the GDS that it will be increasing its flights to Kuala Lumpur and Singapore from the on set of the IATA Winter 09-10 season. Currently, these flights are flown on a daily basis each but that will be increased to 10 times per week using an A 343 exclusively. FRA - capacity reduced from double daily A 333s in SU 09 to daily A 332 + daily A 333 in SU 10. BCN - capacity increased from daily B 762ER in SU 09 to daily A 332 in SU 10. YUL - to be flown nonstop from LOS. JFK - to be flown within 6 months time nonstop from LOS. IAH - to be flown nonstop from LOS. PEK - to be flown either nonstop or via DXB. BOM - to be flown either nonstop or via DXB. BRU/CDG/FRA - to be each flown nonstop from LOS. GRU - to be flown nonstop from LOS. Arik Air would be better off launching routes which it can offer a monopoly flight service on which are guaranteed to see high loads at reasonable yields. This includes LOS-IAD, LOS-IAH, LOS-NYC, LOS-JED and LOS-CAN nonstop. One hopes that if YUL is launched it is done so with a SPA with AC on the YUL-YYZ/YOW/YVR/YYC-YUL sectors otherwise there is no point in flying to YUL as the O&D market size especially out of YUL is one fifth of YYZ-LOS! FYI, Arik Air has on order from Boeing 5 B 77Ws + 9 B 789s + 3 B 739ERs. LAX - frequencies increased from 5 weekly to daily nonstop flights using an A 345. DME - frequencies increased from 3 to 4 weekly nonstop flights using a B 772ER. OSL - frequencies increased from 5 weekly A 345s to daily nonstop flights using a B 772ER. ATH - capacity reduced from 3 weekly B 772ERs to 3 weekly A 345s. JED - planned launch now suspended until further notice. DEL - capacity increased to double daily flights i.e. daily B 773A + daily A 333. JNB - new 3 weekly flights to be flown nonstop using a B 772ER from April 2010. AUH - planned launch now suspended until further notice. BOM - capacity increased from 13 weekly A 333s to 13 weekly Boeing 747-400s effective Oct 26th 2009. CCU - capacity increased from daily AB6 to daily A 333. MAA - capacity reduced to daily AB6. HYD - capacity increased to 4 weekly A 333s from 4 weekly AB6s. TG have also confirmed that its management are struggling to sell off its entire fleet of 4 A 345s for a competitive price as the best offer on the table to them was US$ 50 million from an American based aircraft dismantling firm. Instead of now wanting to sell at a lower cost, TG will be looking at ways to use this aircraft in better ways on currently flown long haul routes by removing many business and premium economy class seats which would enable 50 extra economy class seats to be added to the flight to help increase load factors. Once again TG management have "lost it" by sending a high yielding configured A 345 which has 60J + 42 Y+ seats in it to fly a low yielding flight BKK-ATH which has minimal premium/business demand! This route too does not make money for the airline so rather than continue to bleed on it, suspending it totally would probably be a better decision. As far as the A 345's reconfiguration is concerned, it is best to have a 2 class J and Y class cabin only which would result in the airplane seating 280 passengers comfortably which is a more attractive proposition too when TG needs to sell this aircraft in the future. ABV - frequencies increased from 3 weekly to daily nonstop flights using a mixture of A 333s and A 343s. PHC - new 4 weekly flights to be flown using A 343s via ABV. During the summer 2010 season, it will be taking delivery of 5-6 A 380s. YUL - frequencies reduced from 3 to 2 daily flights. GRU - frequencies reduced from double daily to 12 weekly i.e. 5 weekly A 332s + 2 weekly B 773ERs + 5 weekly B 772ERs. DKR - capacity increased to daily B 773ERs. KIX - capacity reduced from daily B 773ERs to 3 weekly B 772ERs + 4 weekly B 773ERs. 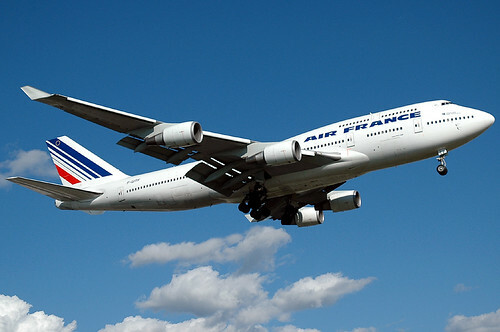 Air France has officially confirmed that it has increased its flights to PHC-Port Harcourt, Nigeria effective immediately. Currently, 4 weekly nonstop flights are flown using A 319LRs, however this has been been increased to daily services using the same aircraft type. This is a major oil route as PHC is the oil capital of Nigeria. Erbil is located in northern Iraq in the Kurdistan region which has seen considerable development over the past decade. The above mentioned flights connect very well with LON/CDG/FRA via BAH in both directions. All flights to BGW, NJF and EBL will be flown using GF’s fleet of Airbus A 320s. Gulf Air has officially announced that it would like to sell or lease out its entire fleet of 9 Airbus A 340-300s to interested parties as soon as it is feasible. GF currently owns 5 A 343s which are 15 years old where as the remaining 4 are leased from Boeing and are ex SQ birds. The only airlines which I feel would want these 15 year old A 343s of GF are those based in Africa and Latin America. I do not see any Arab, European and American carrier being interested in these planes. With regards to Asia, the only airline I feel that can make good use of them because it can fly nonstop on long haul routes + can be bought for a bargain price is AIR ASIA X who can reconfigure these planes to suit their needs for further enhancing their European, Middle Eastern and Austral-Asia expansion. Very pleasing to see GF take the initiative here and create for themselves a nice little high yielding niche market for themselves until QR/EY/EK/KU enter the fray. Other niche markets that it should focus on entering in 2010 are Kabul and Tashkent. To KBL, there is enough traffic that it can obtain at a decent yield from the GCC, Europe, North America and Far East Asia to warrant flying initially a 5 weekly A 320 and after analyzing the situation, increase it to daily services. TAS is the main gateway to Central Asia and also the financial hub of the region. No GCC airline flies to the city and demand is high especially from UAE. There is also decent feeder traffic that can be gotten from BOM, DEL, BKK and PVG originating flights. Initially, BAH-TAS flights could be launched with an A 320 three times per week and then judging by demand, increase it later on to 5 times per week. DEL - frequencies increased from the current 25 weekly to 4 times daily i.e. double daily A 332s + 9 weekly B 773ERs + 5 weekly B 772ERs. All flights will be flown with a 3 class configuration i.e. F/J/Y. AMD - frequencies reduced from the scheduled double daily to 10 weekly flights using a 2 class configured A 332. PEK - frequencies increased from 5 weekly to daily flights using a B 757-200 via DEL. BOM - capacity increased from daily B 752s to daily B 763ERs. BAH - frequencies increased from 5 weekly to daily flights using a B 737-700. ARN - frequencies increased from 4 to 5 weekly flights using a B 757-200. KWI - frequencies increased from 5 weekly to daily flights using a B 737-700. 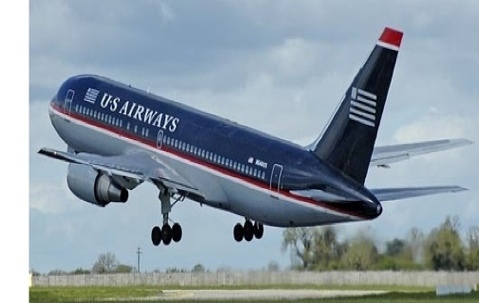 DEL - frequencies increased from 5 weekly to daily nonstop flights using a B 757-200. DXB - maintains double daily nonstop flights using B 763ERs exclusively. SAH - frequencies increased from daily to 9 weekly flights using a B 738. BOM - will now get a dedicated nonstop terminator flight flown 4 times per week using a B 738. It would be interesting to see if BOM-CAI which is a 6 hour 45 minute flight can be operated with a full payload using a B 738. KUL - will receive 4 weekly nonstop terminator flights using an A 332. Singapore Airlines and Airbus have agreed on a revised delivery schedule for eight Airbus A 380 aircraft on firm order. Under the new schedule, deliveries will take place between six months and 12 months later than originally planned, for the Airline’s 12th A380 through to the 19th. The revised schedule will see the 12th aircraft delivered in October 2010 rather than April 2010, while the 19th aircraft will be delivered in January 2012 rather than January 2011.